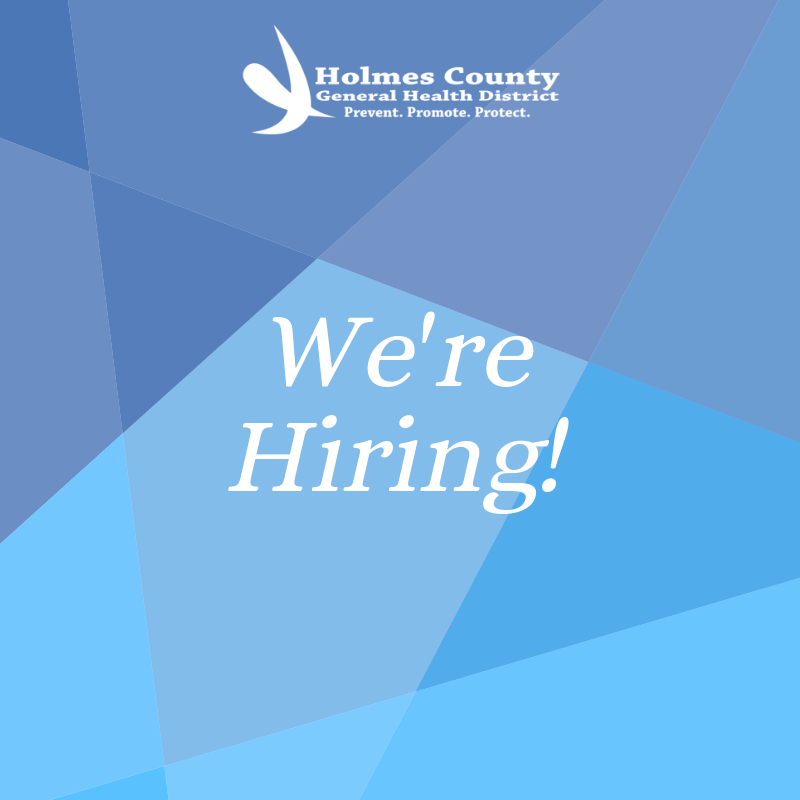 The Holmes County General Health District is actively seeking a qualified candidate for the full time position of Public Health Nurse Supervisor/ Director of Nursing. Under the general supervision of the Health Commissioner, the candidate chosen for this position may work in the Children with Medical Handicaps, Immunization Programs, HRSA Small Healthcare, Medical Reserve Corps, and must be able to work in compliance with state and local public health laws and assist with writing grant reports and request for proposals. Click here to view the full job description.